Ned Landry, Champion Fiddler from Saint John, NB passed away on August 25, 2018 at age 97.He was a 3 time Canadian Open Fiddle Champion in 1956, 1957 and 1962. He received a recording contract with RCA Canada in 1952. His career blossomed throughout the 50's, 60's and 70's with many of his own compositions becoming hit tunes throughout the country and western venues. He won many honors and awards and became a member of the NB Music Hall of Fame on July 2, 1983.He received the prestigious Order of Canada on April 2, 1992. 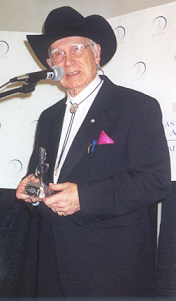 He was inducted into the NS Country Hall of Fame on August 18, 2000 and on May 10, 2009 he received he received a Doctor of Letters from St Thomas University in Fredericton.He received the Helen Creighton Lifetime Achievement Award at the ECMA's in 2002. 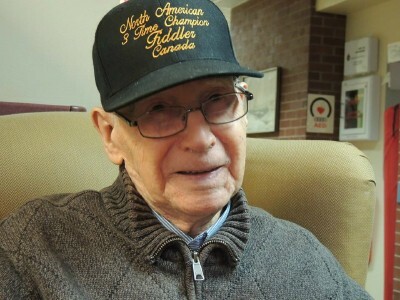 He was a lifetime member of theRoyal Canadian Legion. He spent almost 4 years in the Army back in 1940. He was married twice and both wives have earlier passed away. He is survived by 3 daughters and 2 sons, 19 grandchildren, 34 great grandchildren and 11 great-great grandchildren as well as many nieces and nephews. He will be resting at Brenan's Funeral Home in Saint John on Aug 27 & 28 where the funeral will be on Wednesday, Aug 29 at 12 noon at St. Pius X Church in Saint John. Our condolences go out to the Landry Family from Atlantic Seabreeze.